Leslie Bennett is the Movement Specialist for the Department of Theatre, where she has taught such courses as The Acting Instrument, Physical Characterization, Period Styles, Musical Performance for the Actor, as well as Acting I and III. Her scholarship is rooted in the Michael Chekhov Acting Technique, with its fundamental belief in the actor as a creative artist, and the transformative ways in which movement, imagination and improvisation can motivate, illuminate and enliven the actor's ability to communicate. Professor Bennett's diverse background is in theatre arts, dance and vocal music and she has performed professionally in all of those venues. Bennett was recently heard on National Public Radio as Titania in the University of Kansas production of A Midsummer Night's Dream in Original Pronunciation directed by Paul Meier. At the University Theatre, she performed the same role in the 2010 stage production, as well as choreographing its several dances. Bennett served as director/choreographer for A Grand Night for Singing and The Thirteen Clocks, as well as creating the choreography for numerous productions including The Music Man, Really Rosie, Street Scene, The Magic Flute, and George Dandin. She portrayed Judith Bliss in Hay Fever, which was selected for the Kennedy Center American College Theatre Festival Region V in 2006. She continues to perform concerts and has presented her work both nationally and abroad. In the summer of 2012, Bennett premiered the role of Annie Oakley in a work-in-progress performance of Shooting is a Gentle Thing, by colleague John Gronbeck-Tedesco, which was directed by Dawn Arnold of Moving Dock Theatre in Chicago, using Michael Chekhov's rehearsal methodologies. 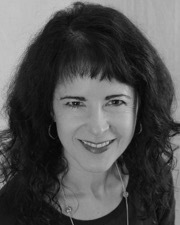 Bennett received her MFA from Boston University in Movement and Voice and taught Movement there in the Opera and Music departments. She also taught Movement and Applied Voice at Emerson College and free-lanced as a choreographer in the Boston area. Bennett's operatic credits include Despina in Cosi Fan Tutte with Opera Aperta, under the direction of Craig Smith, Katchen in Boston Lyric Opera's Werther and Lelia in the Early American Theatre Company's Satanella. In the annual Playwright's Platform in Boston, she premiered the role of Hester Prynne in A! The Letter and has performed with American Stage Festival, Merrimack Repertory Theatre and the New Ehrlich Theatre. Professor Bennett performance work encompasses acting, singing and dance. She has choreographed both musicals and straight theatre productions, and sometimes directed as well. Her scholarship and rehearsal technique is rooted in the Michael Chekhov Acting Technique, with its fundamental belief in the actor as a creative artist, and the transformative ways in which movement, imagination and improvisation can motivate, illuminate and enliven the actor's ability to communicate.